Jess to HELP: Y’all Rock! Wanted: Wheelchairs and Hospital Beds! Sign in to your own amazon account via the link below and Amazon will donate .05% to us. We are located on the second floor of the Center Mall, on the corner of 42nd and Center streets. The easiest access to HELP is from the third-floor rooftop parking area of the Center Mall. Enter from the mall’s south side (Frances St.), or the east side (40th St.). After parking, go through the mall’s covered entrance doors then use the elevator to your right. Go to the 2nd floor; as you exit, you’ll see HELP just across the hallway! Jackie Austad Nelson is president of HELP’s Board of Directors. During a 31-year career at Union Pacific Railroad, she held various positions in the Finance and Human Resources departments. Jackie was responsible for: the design and implementation of the human resource service center; redesign of the management compensation program; design and implementation of a new consumer-driven healthcare plan for management employees; design and implementation of an occupational health management system, and management of a nationally recognized employee wellness program. She and her husband own Nelson Painting & Decorating. She also holds a BBA in Accounting from the University of Iowa and an MBA from Creighton University. Marilyn Puett is on the Executive Committee of HELP’s board, serving as vice president. She retired as a school administrator with the Omaha Public Schools after 45 years of service. Prior to becoming the Dean of Students at Bryan Middle School, Marilyn taught vocal music for over 30 years at eight elementary schools and two middle schools. Born and raised in Sheridan, Wyoming, she learned about volunteerism and community service from her parents, Wilbur and Alta June Pool. In 2010, her mother was chosen by the Jefferson Foundation as Wyoming’s volunteer of the year. Marilyn is a graduate of Hastings College and holds a Master’s degree in Educational Administration from the University of Nebraska. She is the recording clerk of the Presbytery of the Missouri River Valley and was secretary to the presbytery’s Commission on Ministry. Marilyn has belonged to Presbyterian Church of the Master for over 40 years, assisting as the vice-moderator of the Presbyterian Women, chair of the Memorial Committee and singer in the Chancel Choir. She also serves on Standing Bear Village’s Sanitary Improvement District board. Marilyn first learned about HELP when her co-worker needed medical equipment after a leg amputation due to diabetes, while another friend needed a walker for her husband. They were impressed with the possibility of borrowing medical equipment from HELP’s vast array, and the staff’s professionalism and expertise. 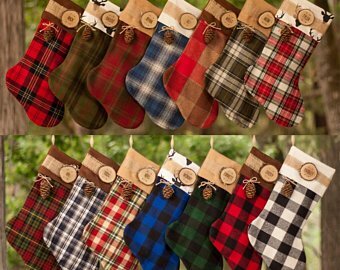 Marilyn has supported the Presbyterian Women and HELP’s Christmas stocking project for inmates since its inception. Marilyn believes HELP is a good place for her to give back to the community that has given her and her family so much over the past 46 years. Tom joined the HELP family as Executive Director in October 2018. He brings with him an extensive background of leadership, marketing and public relations. Tom received a BS in Human Resource Management and a MS equivalent in Operations Management. He began his career at Physicians Mutual and, after being promoted through the ranks, became a successful marketing manager leading a team focused on nurturing customer relationships. In 2013 he joined Nebraska Organ Recovery, raising awareness of the need for suitable donors. Ready for a new challenge, he accepted an Executive Director role that consisted of managing an early learning center, two community learning centers and a food distribution program in Lincoln, Neb. Over the years, he dedicated many years to nonprofit boards, including a combined 23 years of service. He is currently the President for Big Canvas and is a board member for the Lions Eye Bank of Nebraska. Tom’s motivation: “I love the feeling of a job well done. When I know that I have helped someone toward a better life, it is the most amazing feeling ever. I want my time at HELP to be that of serving the needs of our patrons and making sure that everyone who needs us knows about us! Danielle LeGrande has been serving on the HELP Board starting in October 2018. Danielle has 10 years of experience in the non-profit sector, including 5 years as the Logistics Manager with WELLCOM and 5 years as Community Director at the March of Dimes Nebraska Chapter. She left the non-profit sector and is now working for Southern Glazer’s Wine and Spirits as a Business Analyst. Danielle has a bachelor’s degree in General Studies with a Minor in Non-Profit Studies and Youth Services Administration from the University of Northern Iowa. She enjoys spending time with her family, house projects and volunteering. Danielle is passionate about giving back to non-profits in our community and is honored to be serving on the HELP Board to further the mission and values. Daniel has served in social services for over 12 years. Prior to joining the HELP team, he assisted at-risk youth through juvenile corrections; supported adults with special needs, and worked within the foster care system helping parents and their foster children. He joined the HELP family in November of 2014 and has enjoyed the opportunity to serve seniorsin the community. Since beginning his career working with children and youth, and then with special needs adults, Daniel believes working with seniors is the next logical step in his journey to help people. Daniel earned a Bachelor’s degree in Family Life & Marriage Counseling from Nebraska Christian College. He enjoys watching movies with his wife and their four rambunctious boys, and volunteering in his church. Kurt joined the HELP family as administrative assistant in August 2016 and, due to his abilities and commitment, was quickly promoted to program director. He has extensive computer and donor data management skills, including five years of experience in Information Technologies and computer repair. Kurt previously served on the Sheridan Volunteer Fire Department in Sheridan, Montana. After earning an Associate’s degree in Business Management, he moved to Omaha from Montana in fall 2012. Kurt enjoys the great outdoors and spending time with his wife and two children. As a child, Alejandra knew she wanted a fulfilling job. Spending her high school years working various retail positions, she searched for her place. After her aunt became ill and needed a walker and wheelchair, Alejandra quickly understood the importance of organizations such as HELP. She learned about a job opening at HELP that would enable her to assist people like her aunt, applied and has been part of HELP’s family since March 2018. Her bilingual abilities in Spanish have been extremely beneficial for many of HELP’s clients. Alejandra enjoys expressing herself through painting and listening to jazz. Jerelle joined the HELP family in January 2014. His days are busy delivering and picking up medical equipment items throughout the Omaha/Council Bluffs metro area. Having excellent organizational skills, Jerelle maintains the warehouse inventory along with data entry for thousands of donated items each year. In his free time, Jerelle can be found in his personal garden or enjoying life at his wife’s side. David A. Daniels is a HELP board member. Dave has 26 years of experience in Recreation and Athletics, including 17 years as an assistant director of Campus Recreation at the University of Nebraska Omaha. He has a Bachelor’s degree in Political Science from Eastern University (PA) and a Master’s degree in Sports Administration from the University of Northern Colorado (CO). Currently, Dave is an appliance specialist at The Home Depot and a delivery driver for Panera Bread. He enjoys volunteering, traveling, history, yardwork/landscaping and music. Dave believes in HELP’s mission and that it serves an important role for individuals and families in the Omaha community. Dr. Nancy Kelley is on the Executive Committee of HELP’s board, serving as secretary. She is a professor with the University of Nebraska Omaha’s Grace Abbott School of Social Work. Nancy earned a PhD in Social Work with a Graduate Certificate in Gerontology from the University of Utah; Master’s degree in Social Service Administration from The University of Chicago; Bachelor of Social Work degree with a minor in developmental psychology from Moorhead State University in Minnesota, and an Associate of Arts degree and certificate in Developmental Disabilities from Minot State University in North Dakota. Her professional background has focused primarily in the fields of aging and developmental disabilities, holding direct care, case management, coordinating and supervisory, and administrative positions in community-based organizations. She also has extensive experience working with adjudicated adults under legal guardianship who have been victims of elder abuse, neglect and/or exploitation. Her research, practice and policy interests include: quality of life and quality of care of older adults and people with disabilities; behavioral healthcare across the lifespan; community long-term care initiatives for older and disabled adults; and family and nonfamily caregiving issues across the lifespan. In addition to serving on HELP’s board since January 2013, Nancy has actively supported the community through her leadership in other nonprofit organizations and coalition work, such as the Nebraska Chapter of the National Alliance on Mental Illness (NAMI), Nebraska Family Support Network, and the Nebraska Older Adult Mental Health Coalition. Laura Ilcisin is on the Executive Committee of HELP’s board, serving as treasurer. She retired after 20 years as an accounting lecturer in the College of Business at the University of Nebraska Omaha. Her teaching included a variety of financial accounting courses in both the undergraduate and MBA programs. She served on numerous committees at the department, college and university levels, including the Faculty Senate. Laura advised student organizations, served as internship director for the accounting program, and coordinated all sections of the introductory accounting curriculum. She authored a published instructional guide for a widely used college-level accounting textbook, and developed both content and review materials for numerous others. In 2014, the UNO Alumni Association recognized her as the outstanding teacher in the College of Business. Prior to joining UNO, Laura worked for 15 years in the Finance, Accounting and Operating departments at Union Pacific Railroad. She earned a Bachelor of Science degree from Creighton University, an MBA from the University of Nebraska Omaha and a CPA certificate. Her community service has included the Legislation Committee of the Nebraska Society of Certified Public Accountants, the Nebraska SID 295 Board of Trustees, the Nebraska Future Force Task Force, and the board of directors of RetireSafe and the Senior Center for Health & Security. Kevin Welsh is a HELP board member. With over 20 years of experience in the financial services industry, Kevin is senior vice president and financial advisor at the Welsh Friesen Group at Morgan Stanley. He provides custom portfolios and wealth management solutions for business owners, executives and families. A graduate of the University of Nebraska Omaha, Kevin received a Bachelor’s degree in Business Administration. He grew up on a farm outside of Springfield, Nebraska. Kevin is a community activist involved in several local organizations, including The Cimarron Woods Home Owners Association, and is active in Suburban Rotary of Omaha. In his free time, Kevin enjoys road racing, working out and spending time with his wife and three children. Although there are many ways to give back to the community, Kevin believes his involvement on HELP’s board is meaningful because he can see the results: The equipment provided to families directly impacts their ability to stay in their homes longer and more safely. Anne Walsh is a HELP board member and chair of the organization’s marketing communications committee. During a 31-year career at Union Pacific Railroad, Anne led internal communications efforts connecting 42,000 employees in 23 states, building engagement by helping them understand their role in serving 10,000 customers. Reaching the diverse, unionized workforce required managing numerous electronic and print communications, as well as extensive executive outreach events. These efforts were closely aligned with the company’s social media, brand management and media relations strategies. She is a board member of A Time To Heal cancer rehabilitation foundation, has served as president of the Omaha Press Club and the Association of Railway Communicators, and was an advisory board member for the University of Nebraska Omaha’s student newspaper. She has a Bachelor’s degree in Journalism from UNO. As a primary decision-maker for an adult relative’s healthcare, Anne has experienced firsthand the complexities of navigating long-term care options and maintaining independent living. She is committed to expanding and enhancing HELP’s reach and reputation, so that more can be served through its programs. Becky joined the HELP family as executive director in May 2017. Committed to making a difference for others, Becky has served the nonprofit sector throughout her career. This included several successful years as executive director of Chapter 25, which also helps low-income families needing assistance (food relief). Prior to Chapter 25, Becky worked 26 years with Christian Home Association – Children’s Square U.S.A. as director of community engagement & support and director of early childhood development. To further support the community, Becky served on the advisory council for Connections Area Agency on Aging, which assists senior citizens in southwest Iowa through its senior companion and foster grandparent program. She also volunteers for A Time to Heal cancer rehabilitation program. Becky earned a Bachelor of Science degree in Psychology with a minor in Sociology from Northwest Missouri State University, Maryville, Missouri. Aside from work, her joys in life include spending time with family and friends, and traveling the globe. Daniel has served in social services for over 12 years. Prior to joining the HELP team, he assisted at-risk youth through juvenile corrections; supported adults with special needs, and worked within the foster care system helping parents and their foster children. He joined the HELP family in November of 2014 and has enjoyed the opportunity to serve seniors in the community. Since beginning his career working with children and youth, and then with special needs adults, Daniel believes working with seniors is the next logical step in his journey to help people.